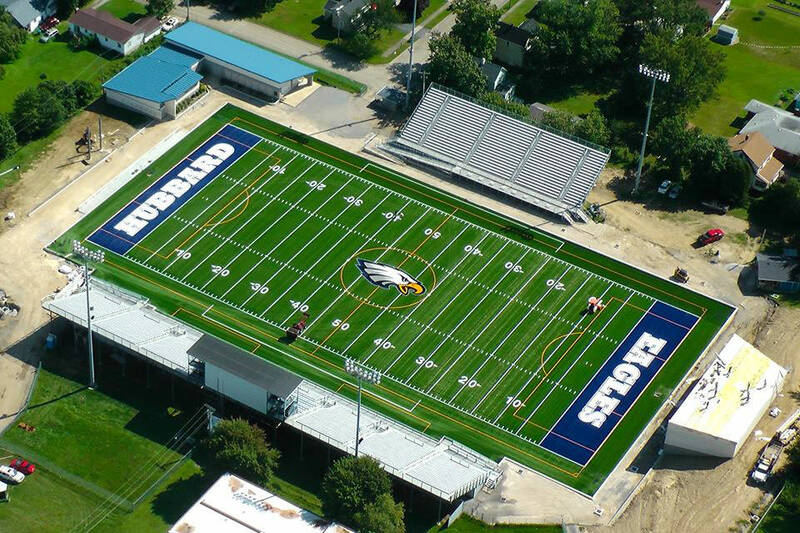 New Artificial Turf was laid down in 2013 - Girard was first opponent in 1949 and was the first opponent on the new turf 2013. 2013 - New facilities included state-of-the-art video scoreboard, Kerola Fieldhouse was completely remodeled with new locker rooms, band shell that seats 250 members and play clocks at both ends of field. Excellent wheel chair access ramps and seating on home and visitor sides. Track, baseball and softball are played on new separate facilities located on main campus on Hall Avenue, Hubbard, OH.